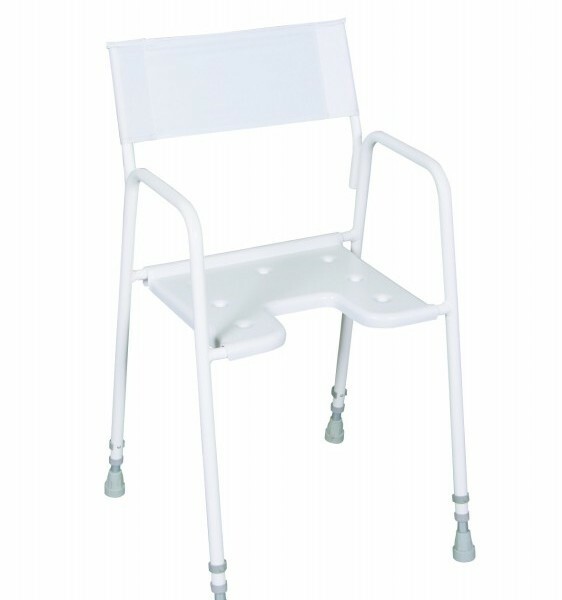 This adjustable height shower chair has a convenient handle moulded into the plastic back rest to aid carrying. Made from plastic coated steel tubing, the ergonomic seat has a front cut away for ease of personal cleansing. 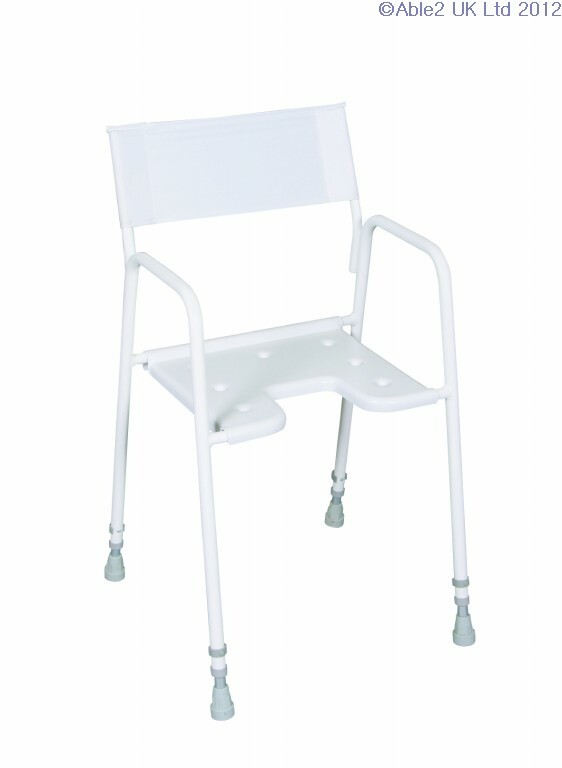 Shower chair available as rigid or folding.